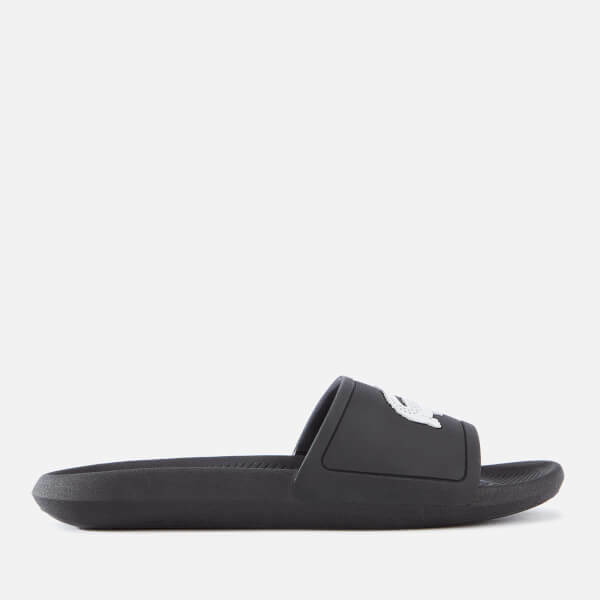 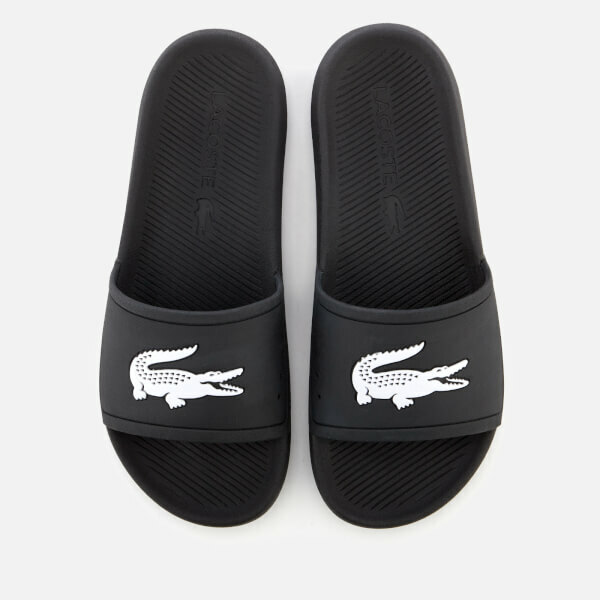 Men’s black slide sandals from Lacoste. 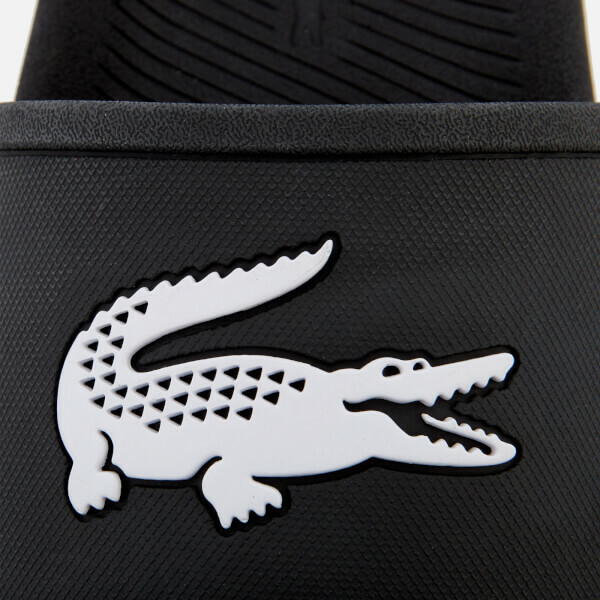 Constructed from durable rubber, the chunky ‘Slide 119 1’ slippers feature moulded footbeds for enhanced comfort and wide water-repellent vamp straps adorned with an oversized crocodile logo for a signature touch. 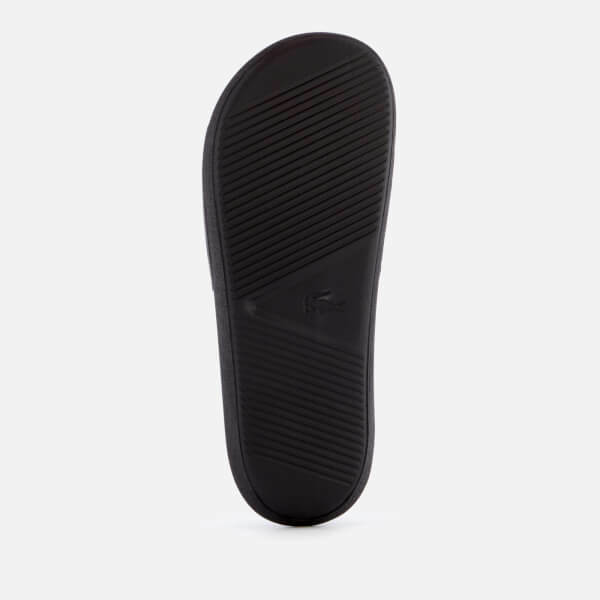 Debossed branding on the footbeds.